I am trying to trace a Gentlemans Barber Shop that existed in Hackins Hey off Dale Street Liverpool from around 1945 to when the street was redevoloped in the late 60s early 70s. It was on the same side of the road as Ye Hole in Wall pub but about halfway up. The man who ran it was my Grandfather Charles Quick. It was there at a similar time as Rex Makin Solicitors started in the same street. Any info about the shop including its name would be great. 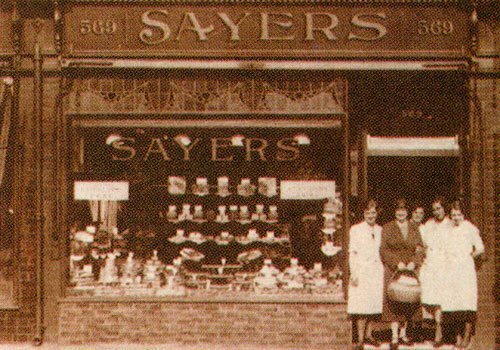 my parents worked for the Livepool bakers Sayers for many years and I would be very interested in learning something about the history of the business. I would be very grateful if you could please provide any information. I am trying to find out about an accident that happened sometime between 1901 and 1911. My Grandfather Ernest Threlfall worked as a Railway Breaksman on the Liverpool railways. He had an accident whilst working and the story is that he lost both legs. He sued the Railway company and apparently was the first person to ever sue his employers. I would be extremely grateful for any information you may have. do you have anything on Bute Street off Netherfield Road? 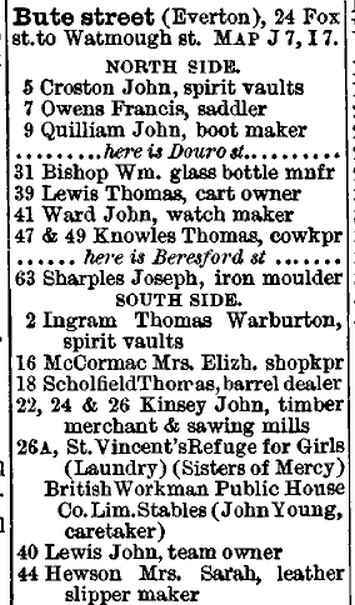 Looking for info on a cooperage yard and hand cart storage there. I hope you can advise me where to find any info and photos. I am currently writing the story about my ggg g/father, Prof Ira Hirst from his UK beginnings to the Port of Natal in South Africa. He worked for the Liverpool Town Council from 1856 to 1864 but not sure as what but must have been related to his profession as a Music Professor. The Liverpool Mercury classified ads also shows him as choir master, organist and conductor for St George’s Church as well a music teacher. He resigned owing to ‘bad health’ in 1864 and moved his young family to Natal in SA where he pioneered the import of musical instruments and orchestras in Natal. He died at the early age of 49 in SA. I have hit a wall in trying to find out more info about music in Liverpool at the time and would love to find old photos and records which would include him. I thank you in advance for any info you can supply me. 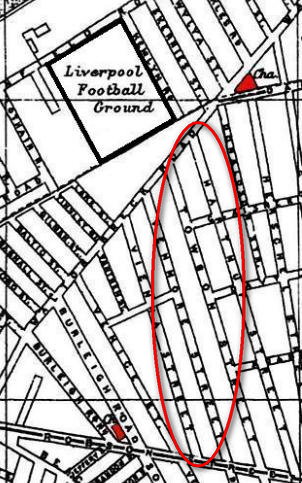 I’m doing a piece of research into John Lennon – does anyone know anything of Gladstone House – It was near to Strawberry Fields and (was in John Lennon’s time, living at home in Mather Av) used as a boys reformatory (secured school). Why is Otterspool Promenade known as CASSIE or the cast iron shore? What company made the iron railings on Otterspool Promenade? Who received monies from Otterspool Estate when it was sold to Cheshire Lines Railway Co? 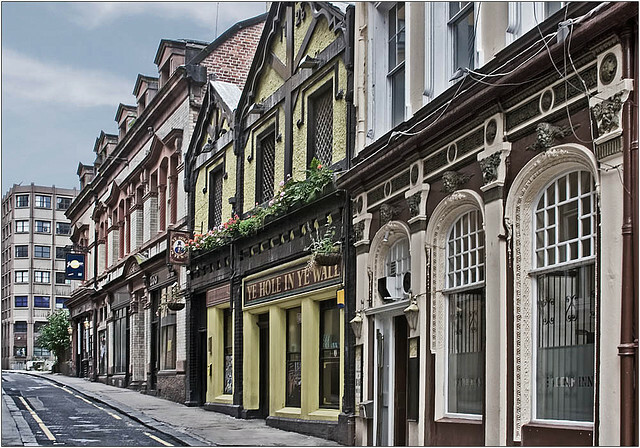 Hi – I realise you are not a family history site but – my Grandfather (William (Walter) Collings was born at 136 Towson street, Everton (1899). His father was a fireman at the flour mills. I tried the Liverpool City Online archives but they seem to be off line. I’ve seen mention of online photos of Towson Street – but not managed to find any! Be grateful if you could point me in the right direction.